One of the greatest things about gaming is that it creates a virtual world where we can live out our wildest boyhood (or girlhood) fantasies. Slaying dragons, being part of an elite anti-terrorist unit or commanding vast armies to conquer the globe, all these dreams and more can be experienced through gaming. Many people, especially the history buffs and those with a taste for the medieval have had notions of riding to war on horseback, arcing arrows across frenzied battlefields and through the beaten metal helm of a foe. Until now, there haven’t been many games, if any, that have tackled this particular fantasy in a way that caters specifically to those desires. Enter Mount & Blade: Warband, the multiplayer expansion to the original Mount & Blade which has been on Steam for some time now. Many of you might have picked up the title in the recent Steam sale which saw it drop 85 percent to just £3.99. If you did, then congratulations on a fine purchase. It’s a damned fine game. For those of you that haven’t played the original Mount & Blade, it’s a period sandbox RPG made by a Russian developer called Taleworlds. Set in the medieval realm of Calradia, Mount & Blade sees you start off as a lowly horse-mounted ruffian with nought but a handful of tin discs and a Hessian sack to call your own. There’s a whole map around which to gallop on your trusty stallion and loads of quests to keep you occupied. You can become an errand-running goody-two-clops and do quests for peasants, working your way up the ladder to be the vassal of a king, or just go around pwning lowly villagers and stealing their lootz. For these reasons, the story is entirely open-ended and pretty much non-existent, but in no bad way. Through the magic of computer games, you too can have a virtual beard! 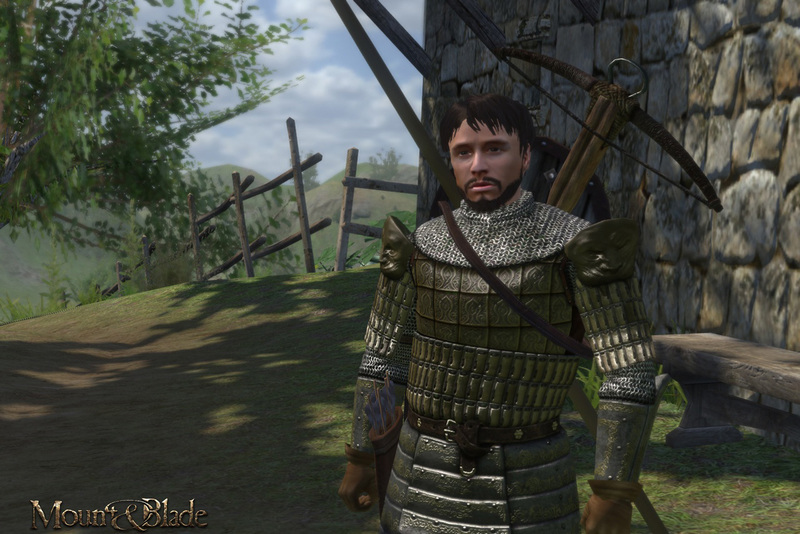 Mount & Blade, along with the Warband expansion, is an RPG in the true old-school sense. You can choose your stats to suit your play style in just about every area. Some might say it's even a bit too in-depth but nobody ever claimed this was a game suitable for mass audiences; it requires specific tastes. You get plonked in the middle of a world map to explore at your whim, and you can do precisely that. Events unfold in the game world wherever you are and whatever you doing. As we said in out original Mount & Blade review, “battles are fought, alliances are formed, caravans trade and raiders raid”. It’s up to you to get in amongst the fun. What stands out most about the game though is the physics-based combat system, which means that if you’re galloping alongside an unsuspecting foe on a horse then your speed and trajectory will have an effect on how hard your swing connects with your prey. It really is medieval combat simulation at its finest and it's this strong point that the developers are capitalising on by bringing the multiplayer expansion to market and enabling mammoth medieval massacres. Divinity: Original Sin is a delightful RPG let down only by poor player direction. Guns. Lots of guns. Also, knights, horses and polygons. 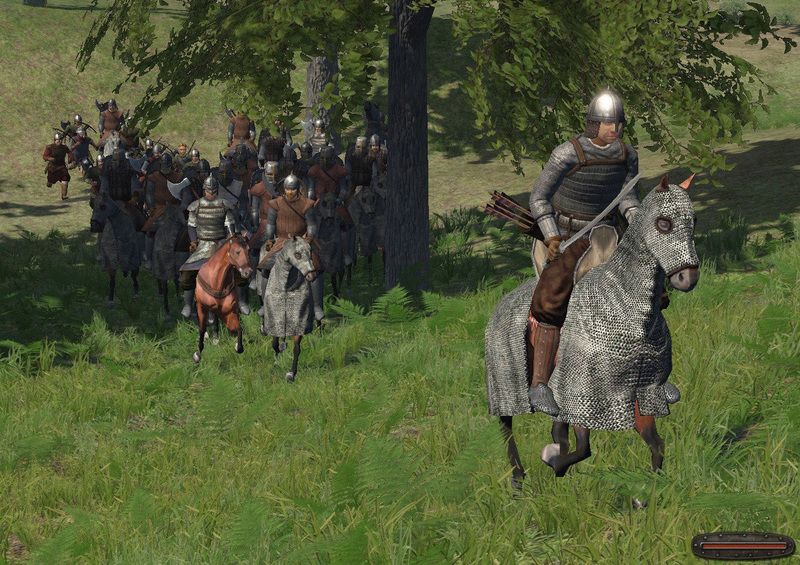 We look at the new Mount and Blade. Paradox Interactive and Taleworlds have announced a new Mount and Blade title, With Fire and Sword.